An online poll conducted on this site showed a majority of respondents do not support placing a casino in Elk Grove. 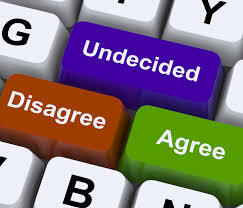 The unscientific poll, which was conducted over a six-day period ending on Thursday, July 14 found that 53-percent of respondents do not support the casino resort proposed by the Wilton Rancheria, 35-percent supported it, and 12-percent were ambivalent or had no opinion. There were 91 people who participated in the poll. Among the 53-percent who objected, an overwhelming number of the respondents, 48-percent of the total, agreed with the statement that casinos "results in more crime and other societal ills" while only five-percent said they opposed on moral grounds. Of those responding favorably, there were 19-percent who said it would help Elk Grove become a tourist destination and 16-percent agreed that it would bring jobs to the city. The $400-million casino resort proposed by the Wilton Rancheria would be located on a 35-acre parcel that is now part of the unfinished Outlet Mall Collection at Elk Grove. The plan for the facility is currently under environmental review by the Bureau of Indian Affairs. If the land is placed under trust as part of the Federal environmental review, the City of Elk Grove will enter into negotiations with the Tribe to construct a service agreement to cover various costs such as public safety and traffic mitigation. Of the five Elk Grove City Council members, only Mayor Gary Davis has discussed the matter in a public forum. During an informational session held earlier this month by the Wilton Rancheria, Davis would only say he supported the tribe, but would not commit support to the proposed casino. Although Wilton Rancheria Chairman Raymond Hitchcock acknowledged groundbreaking on the casino would probably not happen for three to five years, the proposal will likely become an issue in this fall's Mayoral and City Council elections. None of the Mayoral candidates or City Councilmen up for reelection has staked out a position on the matter to date. Where was this poll? Not available on mobile? Sell the the 100 acres we own for the soccer complex so we can replenish our drainage fund. Then it will be the counties problem and we will be rid of just one more white elephant. Never saw,a poll, not scientific anyway. To Nick Dyer & April Cooke: The poll could only be viewed from a conventional computer or a tablet device. If you view this site regularly on a mobile device, you would not have seen the poll. We hope to upgrade our platform so more features can be displayed on mobile devices. I just don't live in suburbia. Then leave suburbia out of your thoughts please. You're like the Fox News of Elk Grove, full of hate and fear. When you've rack up 40 years in the community then u have a right to criticize. This used to be a great community until we became a city. No argument on the city part. What ruined Elk Grove is the city planning commission. What tore Elk Grove apart was Hurricane Katrina and the violent refugees we rehomed in the slums of Laguna.